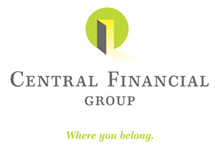 Tami Reding came to Central Financial Group in 2013. She is a licensed Customer Service Representative with 8 years of insurance experience working as a commercial underwriter. Tami lives near Algona with her husband Jeff. Tami has four daughters, Jordan & Jenna (twins! ), Jadi and Jaclyn. Tami enjoys spending time with her family, friends, reading & traveling. She stays very busy following the girls and their activities. *Tami is not affiliated with Royal Alliance.